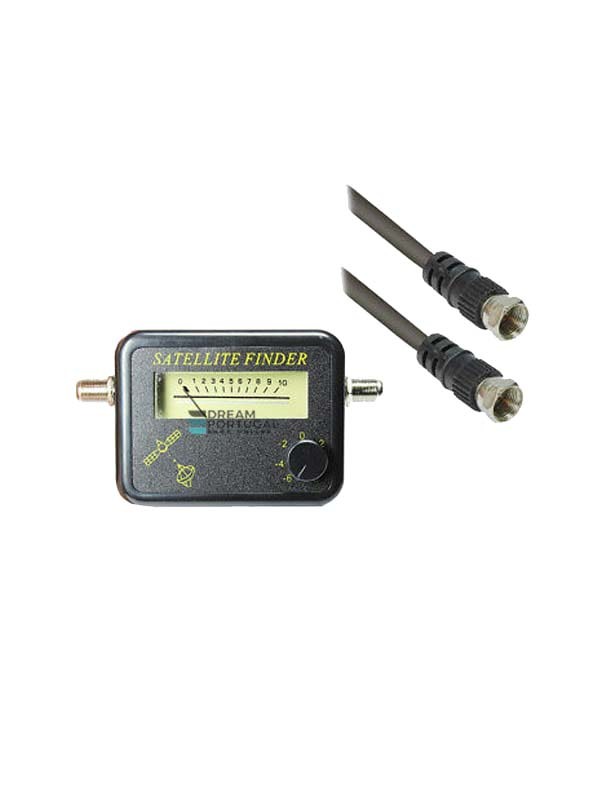 Satellite Finder TR 86370-1 SET - Buy at dreamportugal.pt! The Satfinder is used to align satellite antennas. It adjusts the reception of your analog or digital satellite system. Problems with bad reception are now a thing of the past! With the Satfinder you can effortlessly align your satellite antenna, the reception level strength is displayed and signaled acoustically. Use the knob to adjust the sensitivity. How it works: connect the LNB connection of the Satfinder to the LNB with a cable and connect the receiver connection of the Satfinder to your receiver. If the sensitivity is set high, roughly aim for the desired satellite and then align the bowl with lower sensitivity exactly.